Terapeak is the only certified analytics provider of eBay market data, and is one of the best aggregators of e-commerce data for eBay. Terapeak strives to be the best source for analyzing, understanding, and predicting customers and product behavior for the eBay marketplace for 7 international regions, ebay.com, ebay.ca, ebay.co.uk, ebay.fr, ebay.it, ebay.de & motors with a particular focus on helping eBay sellers to make the most profit they can by providing insightful data. Terapeak is also great for international sourcing as a powerful tools to grow their businesses with seamless Alibaba sourcing integrated with Terapeak. Offices are located in Palo Alto, Victoria, Toronto – Canada. Terapeak is a web-based (hosted) ecommerce platform, and you only need internet connection and a browser (Chrome, Firefox, Safari, etc.) to operate the software. You can also use it via the mobile app provided. You don’t have to download, install, upgrade or back-up anything – Terapeak takes care of the entire system, so you can take care of your business. The following is an up-to-date Terapeak Review for eBay analytical tools. If you would like to try out Terapeak for free, please click here. The vital thing you need to have when selling on eBay, Amazon, or on your own online store is an accurate and reliable analytics tool. The right market research tool can increase your business revenue by 100%, 200%, 300% and more. Terapeak gives you the chance to effortlessly find what sells best on both eBay and Amazon. It also allows you to tap into your eBay competitors’ best-selling strategies, find out how much an item is actually worth, how well an item will sell, and what time and day it sells best. Terapeak is indispensable for professional Amazon and eBay sellers. Created to assist online sellers boost up their business and make it more profitable, Terapeak is the pioneer in e-commerce market analytics. It also provides useful and actionable market intelligence. Now let’s see some of Terapeak’s sales strategies, and how you can use Terapeak to boost your profit. By conducting market research, you are likely to find items with high sale volumes and less competition (fewer sellers). You will be able to discover a profitable category niche where you can make the most out of your online sales. Q: How do I discover the best-selling items using Terapeak? 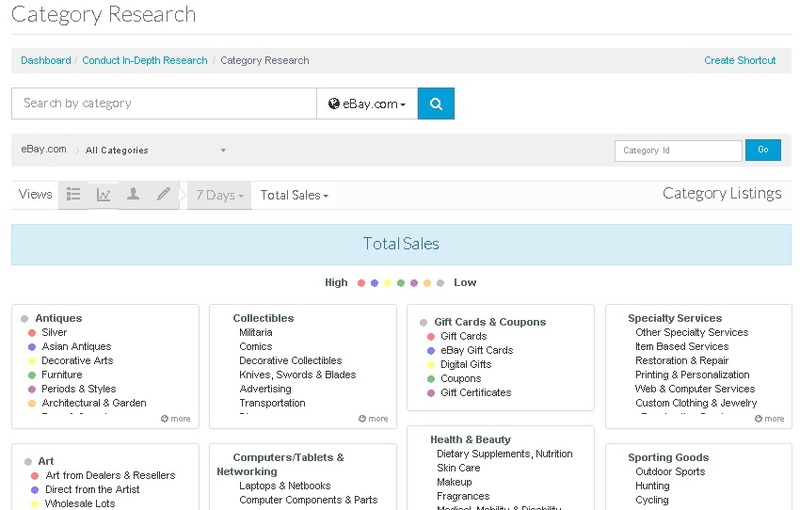 You can start your research by going to the Category Research tab and selecting from eBay’s list of product categories. You can then see the activity in that category over a selected period of time, ranging from 7 days up to 2 years. By doing this, you can tell if the product fluctuations are market-wide or specific. You’ll see a colored dot on every category and sub-category; this is Terapeak’s heat map ranking system. 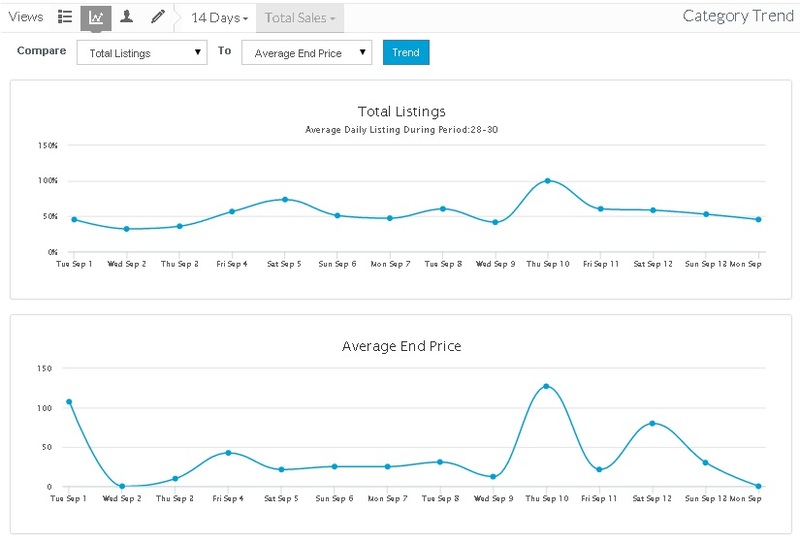 You can analyze a certain trend by Total Sales, Total Listings, Total Sold Listings, Total Bids, Sell through rate, Bids per Listing, and Average cost. Is my market going up or down? When is the peak season for selling this product? Understanding your selected market is fundamental for boosting your sales. 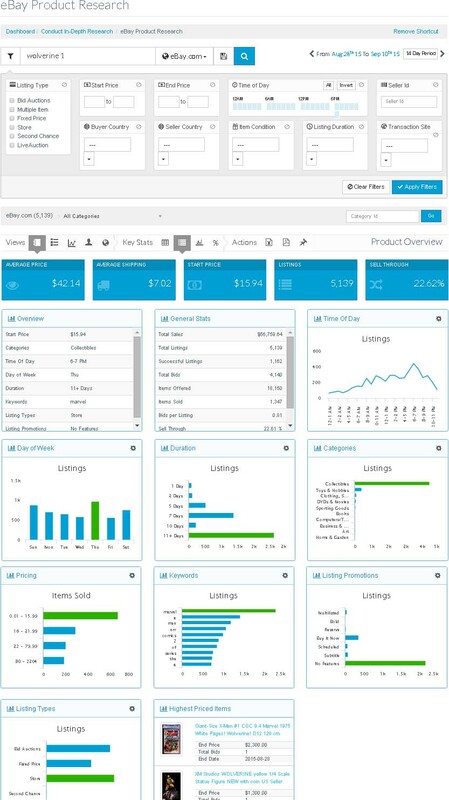 By using Terapeak’s market intelligence, you will be able to surpass your competitors with ease and confidence. The eBay listing title can contain up to 80 characters and must clearly describe what your product is. Each keyword in your title matches your listing with searches made by customers and search engines like Google. Do you ever wonder how to find the exact listings that make the most sales, the best sell-through rate, the minimum, maximum, and average prices, and bids? With Terapeak, you can. Again, the aim of a successful title is to attract search traffic. Terapeak helps you optimize your title for high traffic keywords. This is achieved by using the Hot Research function. For professional Amazon and eBay sellers, Terapeak’s Hot Research function allows you to discover what products are trendy and popular. It also gives you an abundance of valuable additional data. If you don’t have a specific category for selling in mind, and you don’t want to research different brands and models, the Terapeak Hot Research module will help you find plenty of ideas for profitable items to sell. In order to clearly recognize the common relationships between keywords, Terapeak provides you with a Title Builder function. Title builder references active listing titles and proposes keywords relevant to what you are searching for along with your search. Plus, it discovers which keywords perform best in your titles. The report does not only provide you with the relevant keywords, it also provides the minimum, maximum, and average sale prices obtained for products containing those keywords. Amazing! You can generate reports from the keyword results found in the hot research section and title builder at any time. These reports can help you to further analyze the results. 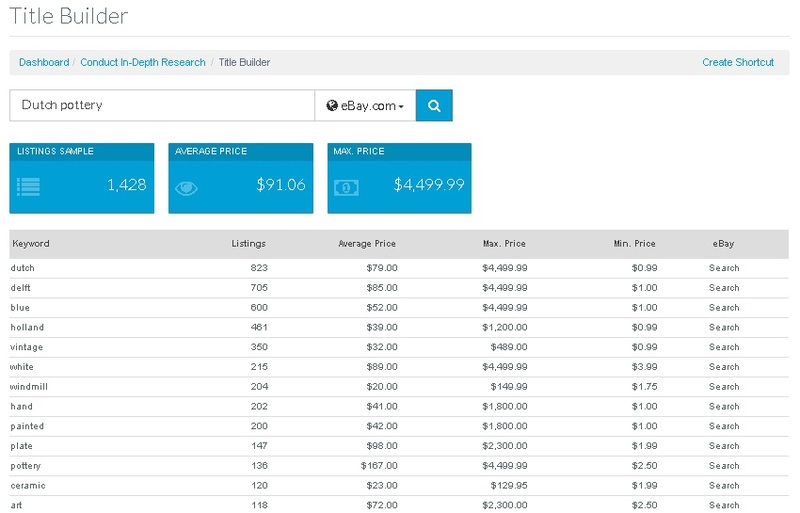 The Hot Categories view shows the most trendy categories and sub-categories based on their sell-through rate. This is very helpful for selling items on eBay and Amazon, or if you’re looking to sell in the niche item category. If you have a broad idea of the items you want to sell and want to know if these items will make you a good profit or not, the best way to check is to use Terapeak’s Category Research. Here you will observe how good your category performs in terms of sales. Also, by researching best sellers in your category, you can test potential competition and estimate your possibility to compete. Have you ever used eBay Pulse? Well, the Terapeak Popular Keyword Searches is very similar. You can simply discover what keywords are most popular on eBay or Amazon, and you will therefore be able to know what customers are looking to buy. So, for instance, if you set sell-through rate from high to low, and items sold from high to low, you can easily identify hundreds of products with fantastically high sell-through rates which also sell in large quantities. 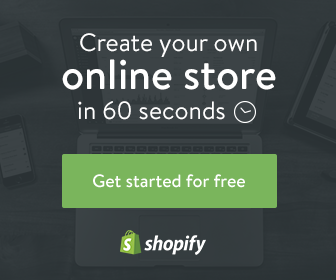 You can effortlessly locate lots of products with a sell-through rate of 80% and more. Incredible! Absolutely not! Terapeak is a product used by many professional sellers to find out great selling ideas. You can try it for an entire 7 days for free to see how valuable it is. What is the value behind Terapeak? If you’re serious about becoming a professional eBay or Amazon seller, then signing up for Terapeak account is without doubt a great investment for your business. If you are able to just boost your sales by 1%, will this cover the annual Terapeak fee? For sure yes! So if Terapeak makes your sales increase by 20%, 50%, 100% or more, would it be worth subscribing? Just think about it! Take action now – try Terapeak and save! I am not saying you’ll blow all of the eBay and Amazon sellers out of the water and make millions of dollars. When you finish your free 7-day trial period, you should be wiser, make better sales, and definitely make better profits than before. You may also discover different product lines to sell online during your 7-day trial. So, will you need any experience to make the most out of Terapeak? The answer is simple – yes. Fortunately, you can get the experience during the free 7-day trial. Simply register for a free 7 days account here. You will be presented with free videos and articles that will teach you step–by-step – everything you need to know about the system. So don’t waste time and take action today! How Does the Terapeak 7-day Trial Work? Once you create your free trial account, you will have a complete access to all Terapeak tools free of charge for 7 days. There is no limitation on searches or reporting. You will be able to examine the entire system. And once the trial period is about to end, Terapeak will notify you by email, asking if you want to continue or cancel. If you don’t cancel, your method of payment will be billed seven days after you sign up for the trial period. All preferences and settings you do in the trial period will remain active. Now as we reach the last part of our Terapeak review, let’s summarize what Terapeak can do to help increase your sale exponentially. 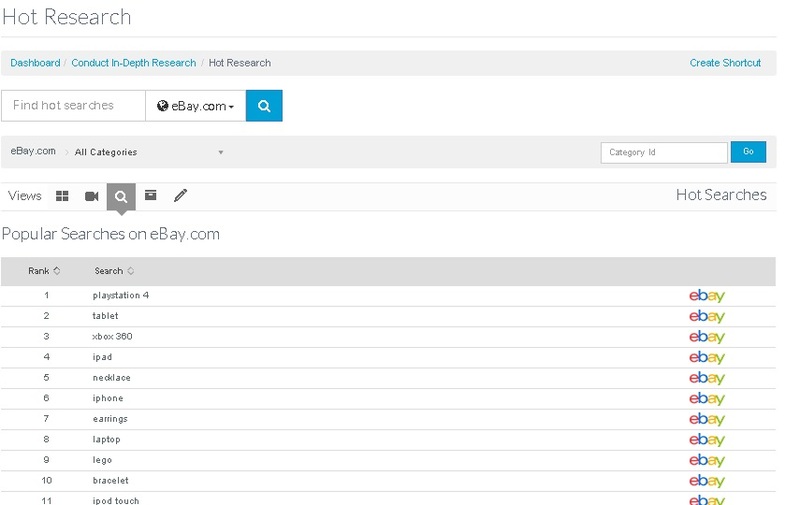 Product Research: Find out if an item is worth selling on eBay and determine what profits you can actually generate in Amazon using the eBay data available. 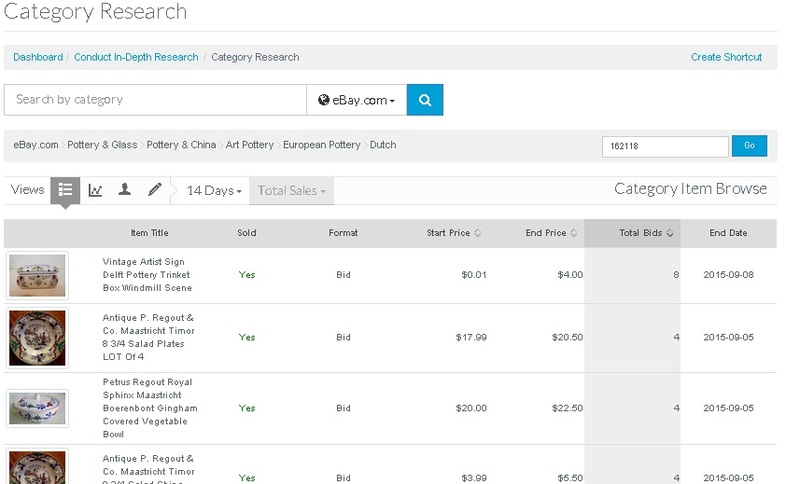 Competitor Research: See what your rivals are selling now, and see their sale history. Category Research: discover which niche categories provide the best profits. Hot Products: Discover the current popular and trendy products to sell. The most successful online sellers use the Terapeak research tool to find what sells best on eBay, Amazon or anywhere. Now it is your turn to become a professional seller. Take action now and register for 7 days free trial. You will discover amazing benefits and opportunities inside! 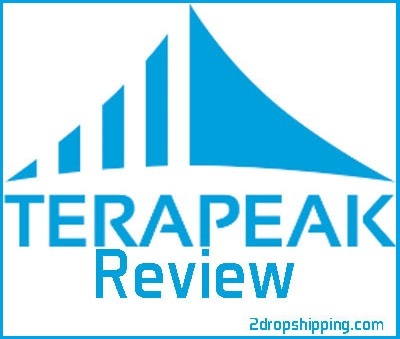 terapeak review - 7 days trial - this is the most updated and detailed terapeak review. it shows everything you need to know about terapeak tool. Read more inside.